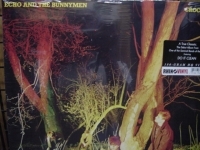 180 Gram Vinyl - items 150 to 175 Shop MyMusicFix!! 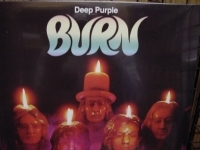 "Deep Purple, Burn (LE #d 2 LPS- 30th Anniversary Edition) - 180 Gram - CURRENTLY SOLD OUT"
"Deep Purple, Machine Head - 180 Gram Vinyl"
180 Gram Limited Edition Analog Virgin Vinyl. 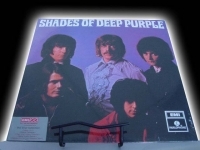 Tracks Include: "Smoke On The Water" "Highway Star" "Maybe I'm A Leo" "Pictures Of Home" "Never Before" "Lazy" "Space Truckin'"
"Deep Purple, Rapture of the Deep - 180 Gram Vinyl"
"Deep Purple, Shade of Deep Purple - Last Copy"
180 Gram Limited Edition Analog Virgin Vinyl. Tracks Include:"And The Address" "Hush" "One More Rainy Day" "Prelude:Happiness" "I'm So Glad" "Mandrake Root" "Help" "Love Help Me" "Hey Joe". "Depeche Mode, 81-04 (6 LPs) Limited Edition"
180 Gram Limited Edition Analog Virgin Vinyl. Tracks Include: Disc: 1 "Never Let Me Down Again - Ray Charles" "Policy of Truth" "Shout [Rio Remix]" "Home [Air 'Around the Golf' Remix]" "Strangelove" "Rush" "I Feel You [Renegade Soundwave Afghan Surgery Mix]" "Barrel of a Gun" "Route 66" "Freelove [DJ Muggs Remix]" "I Feel Loved [Chamber's Remix]" "Just Can't Get Enough" Disc: 2 "Personal Jesus" "World in My Eyes" "Get the Balance Right" "Everything Counts" "Breathing in Fumes" "Painkiller-Kill the Pain [DJ Shadow vs. Depeche Mode]" "Useless [the Kruder + Dorfmeister Session]" "In Your Room" "Dreasm On [Dave Clarke Acoustic Version]" "It's No Good" "Master and Servant [an On-Usound Science Fiction Dance Hall Classic]" "Enjoy the Silence [Timo Maas Extended Remix]" Disc: 3 "Question of Lust" "Walking in My Shoes" "Are People People?" 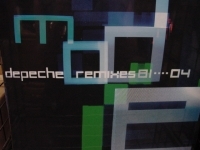 "World in My Eyes" "I Feel Loved [Danny Tenaglia's Labor of Love Dub]" "I's No Good" "Photographic [Rex the Dog Dubb Mix]" "Little 15 [Ulrich Schnauss Remix]" "Nothing [Headcleanr Rock Mix]" "Lie to Me ['The Pleasure of Her Private Shame Remix]" "Clean [Colder Version]" "Halo [Goldfrapp Remix]" "Enjoy the Silence [Reinterpreted]." 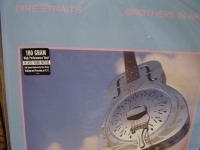 "Dire Straits, Best Of - 180 Gram Double LP"
"Dire Straits, Brothers in Arms - 180 Gram Double LP"
"Texas, Southside - 180 Gram - Silver Sticker"
180 Gram Limited Edition Analog Virgin Vinyl. Tracks Include: "Down in the Valley to Pray" "Georgie" "The Old Man Below" "Katie Morey" "The F.F.V." "Winter's Night" "Dill Pickle Rag" "Sing Song Kitty" "Froggie Went A Courtin'" "Pretty Saro" "Childhood Play" "Rain Crow Bill" "Matty Groves"
180 Gram Limited Edition Analog Virgin Vinyl. 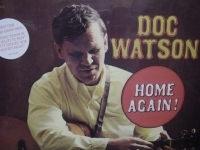 Tracks Include:"Walk On Boy" "Blue Railroad Train" "Sweet Georgia Brown" "Alberta" "Southbound" "Windy And Warm" "Call Of The Road" "Tennessee Stud" "That Was The Last Thing On My Mind" "Little Darling Pal Of Mine" "Nothing To It" "Riddle Song" "Never No More Blues" "Nashville Pickin". 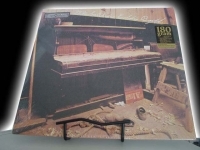 "Donald Fagen, Morph The Cat - 180 Gram Double LP"
180 Gram Limited Edition Analog Virgin Vinyl. From the opening strings of "I Love The Lord; He Heard My Cry, Pts. 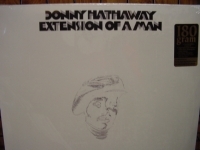 1 & 2" Donny breaks all pre-conceived notions of a soul artist by composing and arranging a classical piece. After things kick off with the mind blowing orchestral number, the album glides effortlessly into the eternal "Someday We'll All Be Free". The eccentric cover of "Magdalena" is also hitting, as is the rest of the material. 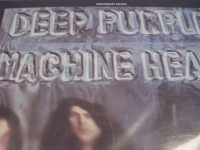 "I Love You More Than You'll Ever Know" is a deep, deep song as well; a great LP cover to cover! 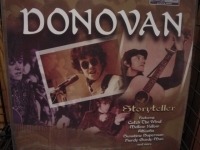 "Donovan, Storyteller with Bonus - 180 Gram Double LP"
"Donovan, Sunshine Superman - 180 Gram MONO"
"Duke Ellington & John Coltrane - 180 Gram"
"Duke Ellington And His Orchestra, And His Mother Called HIm Bill"
180 Gram Limited Edition Analog Virgin Vinyl. 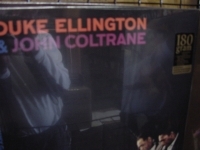 This album is a tribute to Billy Strayhorn, that famous arranger and close friend of Ellington's that died in 1967. "Using the late arranger's own compositions and charts. 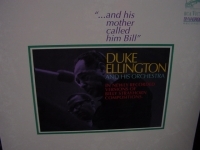 The album features well-known and previously unrecorded Strayhorn tunes that showcased his range, versatility, and above all, the quality that Ellington admired him most for: his sensitivity to all the timbral, tonal, and color possibilities an orchestra could bring to a piece of music." - All Music Guide. 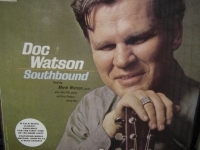 Tracks Include: "Snibor" "Boo-Dah" "Blood Count" "U.M.M.G." "Charpoy" "After All" "The Intimacy of the Blues" "Rain Check" "Day-Dream" "Rock Skippin at the Blue Note" "All Day Long" "Lotus Blossom"
"Dusty Springfield, Dusty In Memphis"
180 Gram Limited Edition Analog Virgin Vinyl. Picked as the #9 coolest LP of All Time by Rolling Stone Magazine. 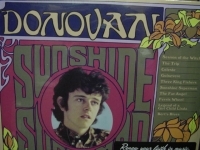 Includes exlusive liner notes by 60's historian Alec Palao and guitarist/songwriter Chuch Prophet. Tracks Include: "Just A Little Lovin" "So Much Love" "Son Of A Preacher Man" "I Don't Want To Hear It Anymore" "Don't Forget About Me" "Breakfast In Bed" "Just One Smile" "The Windmills Of Your Mind" "In The Land Of Make Believe" "No Easy Way Down" "I Can't Make It Alone"
"Earth Wind & Fire, Best of Vol.1 - 180 Gram"
180 Gram Limited Edition Analog Virgin Vinyl. VOLUME 1 - Like a lot of second-wave funk bands, EARTH, WIND & FIRE were adept at balancing slickness and rawness. They achieved truly miraculous moments like the rocking "Shining Star" (which was their lone number one pop single) and the gloriously syncopated "September". "Got To Get You Into My Life" -- is a unified cover of the Beatles' hit and is one of the greatest Beatles covers from Sgt. Pepper's Lonely Hearts Club Band. When it was originally released in 1978, The Best of Earth, Wind & Fire, Vol. 1 was a succinct, ten-track collection of the group's best and biggest singles up to that point. There was one brand-new song, the excellent "September," which soon became a hit in its own right, plus the non-LP Beatles cover "Got to Get You Into My Life," which was recorded for the Sgt. Pepper's Lonely Hearts Club Band film, makes its first appearance on an EWF album here. EWF's commercial prime hadn't yet ended when this collection appeared; thus, it's missing several crucial latter-day hits, including the slinky funk of "Serpentine Fire," the ballad "After the Love Has Gone," and the disco smashes "Let's Groove" and "Boogie Wonderland." But even if it's an incomplete hits collection, The Best of Earth, Wind & Fire, Vol. 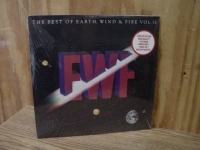 1 still ranks as a strong encapsulation of EWF the funk innovators. The singles gathered here constitute some of the richest, most sophisticated music the funk movement ever produced; when the absolute cream of the group's catalog is heard in such a concentrated fashion, the effect is dazzling. 1 Got to Get You into My Life 2 Fantasy 3 Can't Hide Love 4 Love Music 5 Getaway 6 That's the Way of the World 7 September 8 Shining Star 9 Reasons 10 Sing a Song EARTH, WIND & FIRE were a large ensemble who incorporated jazz, soul and funk into their music with a positive attitude. 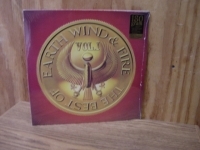 "Earth Wind & Fire, Best of Vol.2"
180 Gram Limited Edition Analog Virgin Vinyl. This Best Of retained their hit-making touch into the '80's with "Let's Groove" (1981) and "Turn On (The Bent Box)" (1988). "Earth, Wind, & Fire" fans will find it difficult to assemble the Greatest Hits by this powerful group. Almost all of their songs qualify as great hits. They laid a remarkable foundation for the Disco Era with a combination of vocal styles. "Echo & The Bunnymen, Crocodiles"
"Eddie Boyd/Fleetwood Mac, 7936 S. Rhodes"
"Eddie Harris, The Electrifying Eddie Harris - 180 Gram"
Originally released in 1967 on Atlantic, this is one of tenor saxophonist Eddie Harris' most famous & significant albums. It contains the definitive hit version of Listen Here plus the groovy Sham Timethe incredible Theme In Search Of A Movie. Includes new exclusive liner notes by Mitch Myers. (180 gram HQ vinyl in gatefold sleeve). 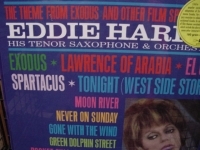 Atlantic Album from Eddie Harris using the Selmer Varitone attachment. The varitone added a pickup to a Mark IV saxophone, allowing the player to play "electric." Very different tones from a fantastic player! 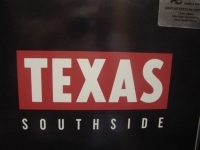 Track Listing : Theme in Search of a Movie, Listen Here, Judie's Theme, Sham Time (with King Curtis), Spanish Bull, and I Don't Want No One But You. 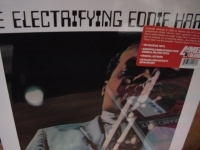 "Eddie Harris, Theme From Exodus & Other Films - 180 Gram"
"Ella Fitzgerald, Sings The Cole Porter Song Book (2 LPs) - 180 Gram"
180 Gram Limited Edition Analog Virgin Vinyl. Tracks Include:"Ace In The Hole" "All Of You" "All Through The Night" "Always True To You In My Fashion" "Anything Goes" "Being The Beguine" "Do I Love You" "Ev'ry Time We Say Good-bye" "From This Moment On" "Get Out Of Town" "I Am In Love" "I Get A Kick Out Of You" "I Love Paris" "It's All right Whit Me" " It's Delovely" "Just One Of Those Things" "Let's Do It" "Love For Sale" "Night And Day" "Ridin' High" "So In Love" "Too Darn Hot" "What Is This Thing Called Love" "Why Can't You Behave" "You Do Something To Me" "You're The Top". 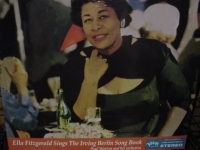 "Ella Fitzgerald, Sings the Irving Berlin Songbook (2 LPs) - 180 Gram"
180 Gram Limited Edition Analog Virgin Vinyl. It was a long road for the composer Irving Berlin, beginning with "Alexander's Ragtime Band" in 1911, leading him on via "Cheek to Cheek," right up to "Change Partners" in 1938 - it was one success after another. 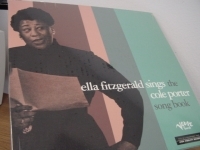 The once-heard, never-forgotten tunes found in the musicals Follow The Fleet and Puttin' On The Ritz were simple little songs - taken from life itself, and Ella's interpretations are just as simple and straightforward. Tracks Include: "Let's Face The Music And Dance" "You're Laughing At Me" "Let Yourself Go" "You Can Have Him" "Russian Lullaby" "Puttin' On The Ritz" "Get Thee Behind Me Satan" "Alexander's Ragtime Band" "Top Hat, White Tie And Tails" "How About Me" "Cheek To Cheek" "I Used To Be Color Blind" "Lazy" "How Deep Is The Ocean (How High Is The Sky)" "All By Myself" "Remember" "Suppertime" "How's Chances" "Heat Wave" "Isn't This A Lovely Day" "You Keep Coming Back Like A Song" "Reaching For The Moon" "Slumming On Park Avenue" "The Song Is Ended" "I'm Puttin' All My Eggs In One Basket" "Now It Can Be Told" "Always" "It's A Lovely Day Today" "Change Partners" "No Strings (I'm Fancy Free)" "I've Got My Love To Keep Me Warm"